A frequently listed advantage of LEDs is that they do not produce heat. In a way, this is true, LEDs are cool to the touch because they usually do not produce heat in the form of infrared (IR) radiation. This obviously doesn’t go for IR specific LEDs. IR radiation is what actually heats incandescent bulbs and other light sources, making them hot to the touch. Without IR radiation, LEDs are able to be placed in spots where the heat from other sources would cause a problem (grow lights, reef tank lights, illuminating food, etc.). Although LEDs are cool to the touch, within the devices themselves, there is plenty of unwanted heat. This heat comes from the inefficiency of the semiconductors that generate the light. 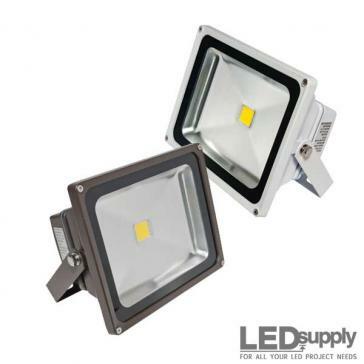 The radiant efficiency (total optical output power divided by total electrical input power) of LEDs is typically between 5 and 40%, meaning that 60-95% of the input power is lost as heat. So what do you do with all this excess internal heat?! 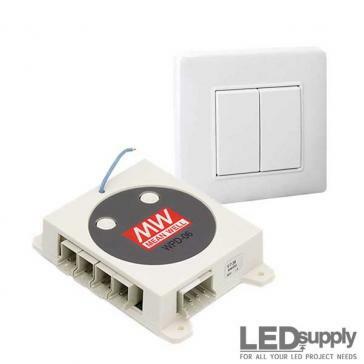 Why should LED junction temperature be managed? With high-power LEDs, it is crucial that you remove heat through efficient thermal management. Without good heat sinking, the junction (internal) temperature of the LED rises, causing the LED characteristics to change for the bad. 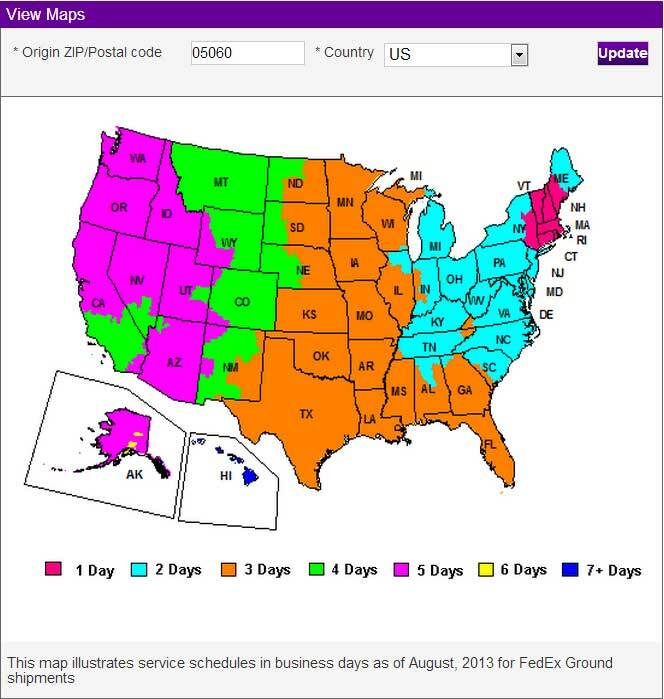 temperature affects the overall lifetime of the LED as well. 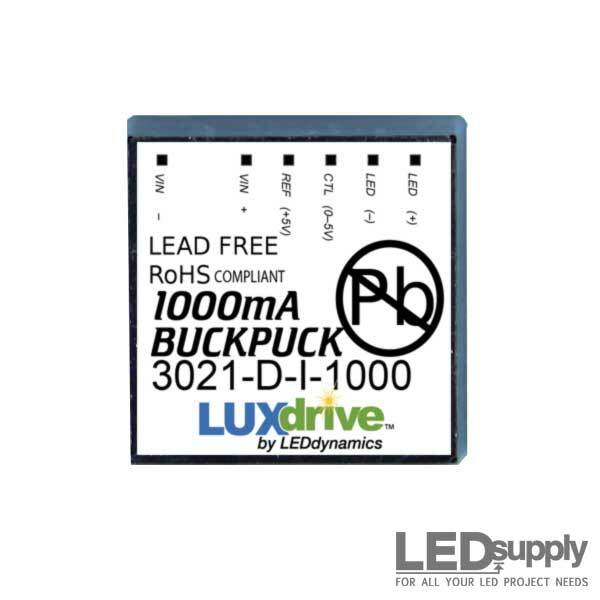 LEDs don’t usually fail catastrophically (although some may, especially if you over heat them); instead, the lumen output of the LED will decrease over time. 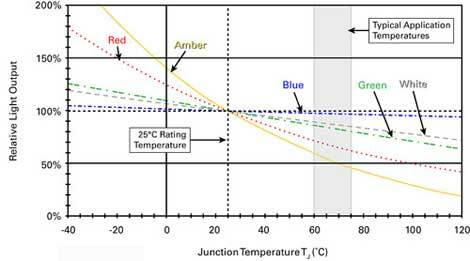 Higher junction temperatures lead to faster LED deterioration. 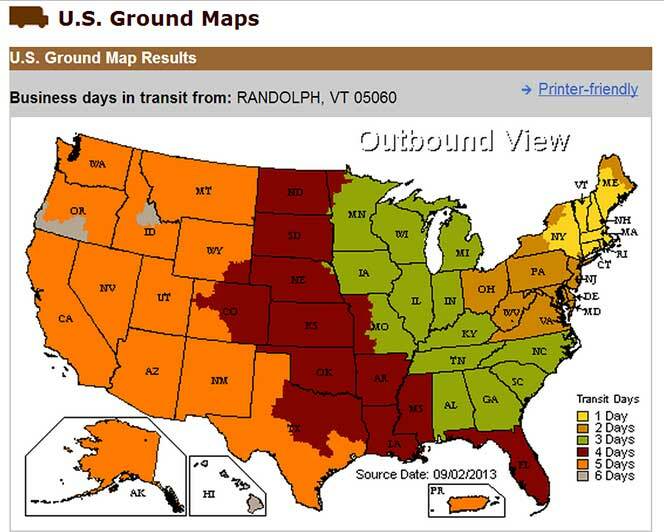 This is why it is crucial to keep your LED junction temperature low. Also take note that if you are over driving your LED (putting more current to it than what it is rated) this will drive temperatures up so high that permanent damage can occur. The ambient temperature and the drive current both affect the junction temperature of LEDs. Other influences are the nature of the light, whether it is steady state or pulsed, and then the one we are really interested in, LED wattage per unit area of heat sink (surface that dissipates heat). 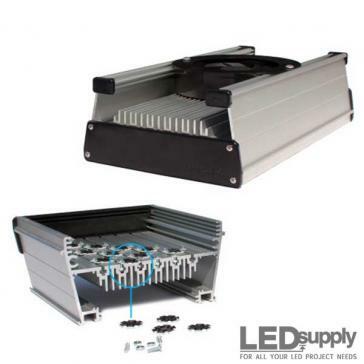 The most important part of LED cooling is the thermal path from the LED junction to the outside of the light fixture. Heat needs to be conducted away from the LED in an efficient manner, and then removed from the area by some sort of cooling or dissipation. 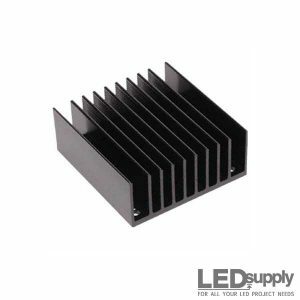 Heat sinks are an important part of LED lighting because they provide the path for heat to travel from the LED light source to outside elements. Heat sinks are able to dissipate power in three ways: conduction (heat transfer from a solid to a solid), convection (heat transfer from a solid to a moving fluid, air in most cases), or radiation (heat transfer from two bodies at different temperatures through thermal radiation). Before diving into heat sinks you must know that when you purchase LEDs on our metal core printed circuit board LED stars this is already taking a good step to better thermal control. 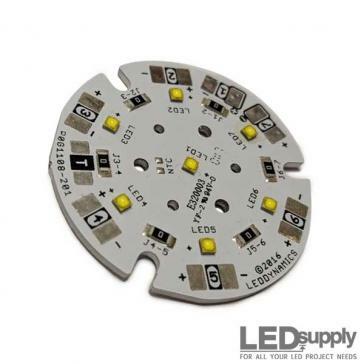 LEDs come in reels as bare emitters that are encapsulated in a transparent resin, which tends to be a poor thermal conductor, so when we mount them on an aluminum base it acts as a heat spreader and is an integral part of the circuit board that aids in thermal conductivity. 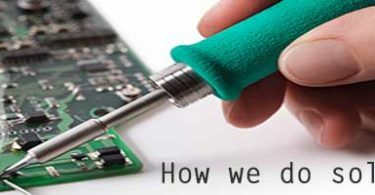 Now in mounting our star boards to the heat sinks it is best to use a thermally conductive material to further take steps in optimal thermal performance. 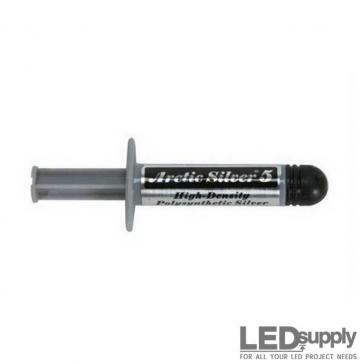 We recommend this Arctic Silver epoxy, it’s what we use here in the craft shop when we build all the LED kits we offer. We also have a very quick option in our HexaTherm Tape which is essentially just thermally conductive double sided tape in the exact shape of our LED star boards. The HexaTherm isn’t as thermally conductive as the epoxy but it will still do the trick. 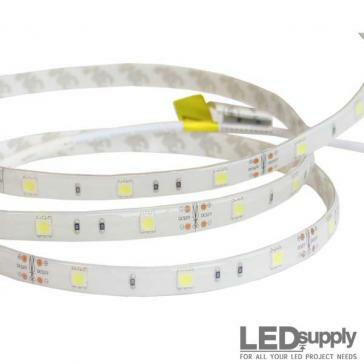 LEDSupply offers HexaTherm in 1-up and 3-up Star board tape sizes. The thermal conductivity of the heat sink material directly affects how efficiently the heat dissipates through conduction. 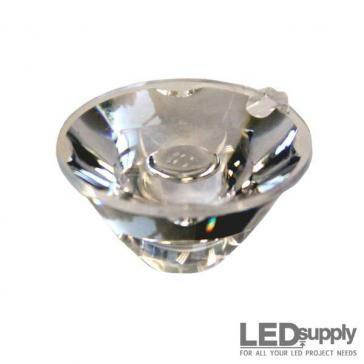 Copper is the best but because of its price point, aluminum is used more widely and is what the majority of the heat sinks we offer here at LEDSupply are. Thermoplastics, like our composite LED heat sink, can be used for smaller LEDs with lower heat dissipation requirements. The use of thermoplastics can be very useful as they can be molded in more shapes and are much more light weight. The thermal transfer takes place at the surface of the heat sink. That is why the best heat sinks have a large surface area. This can be achieved by straight up increasing the size of the heat sink, or by the use of fins. Finned heat sinks help as they provide many more surfaces for heat to transfer from. Whereas fins help, there still needs to be enough space in between fins for air to move through to generate a difference in temperature between the fins and the air. When fins are made too close together, the air in between wouldn’t cool and would become almost the same temperature as the fins which would stop thermal transfer all together. So more fins doesn’t automatically mean better cooling, you need well spaced fins. The surface of your heat sink actually has a direct effect on thermal conductivity as well. A painted surface will actually work better than a bright, unpainted one. 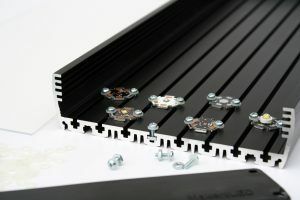 This also is the same for anodizing and etching heat sinks which will decrease the thermal resistance and make for an overall better heat sink. As I said previously, for larger LED arrays or lights that are in an enclosure where their isn’t much air flow you might want to consider some sort of ventilation system. This will help as the air surrounding your heat sink will in turn be cooler and allow for better thermal transfer from the heat sink surface to outside. 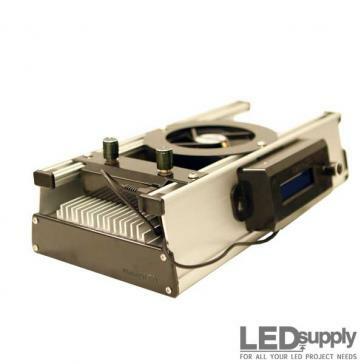 Our MakersLED heat sink kits come with a fan included. Whether the LEDs are mounted in an enclosed or open space. 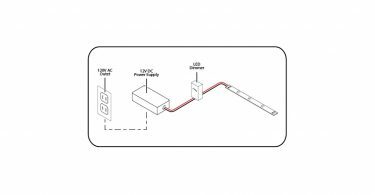 Stay tuned for more posts on LED heat sinks and choosing the right one, but this should get you started in setting up your LED system!